Home Australasia	Where Should You Go In Bali? When it comes to holidaying in Bali, most people generally fall into one of two categories: those who love Bali, and make the sun-drenched pilgrimage annually, and those who love the idea of Bali, but are yet to visit themselves. Such is the allure of this tropical paradise, if you’re not in Bali you’re most likely dreaming about it, planning your next visit or reminiscing about your last trip. After all, flights are cheap and it’s not as far to travel as Europe so what’s not to love? So whether it’s your first or thirtieth visit to this beloved isle, we’ve rounded up a breakdown on where to go in Bali, sussed out the hottest bars and wandered off the beaten track to bring you the ultimate guide to Bali. Once you’ve decided where to go in Bali, check out our list of things to do in Bali to help plan your itinerary. Kuta needs no introduction. As the tourist-filled, party-centric hub of Bali, its often notorious reputation precedes itself. It’s also one of those places you’ll either instantly love or hate – with Kuta, there’s generally no in-between. Loud, busy and, at times, overwhelming, it’s pretty clear from the get-go that Kuta is more about the epic nightlife and haggling for a bargain at the local markets than it is culture and tradition. That’s not to say Kuta doesn’t have few tricks up its sleeve. Relatively calm beaches make it a great spot to learn how to surf, and there’s no better place of where to go in Bali than Garlic Lane (tucked away down a narrow Legian side street) to stock up on souvenirs and cheap goodies. 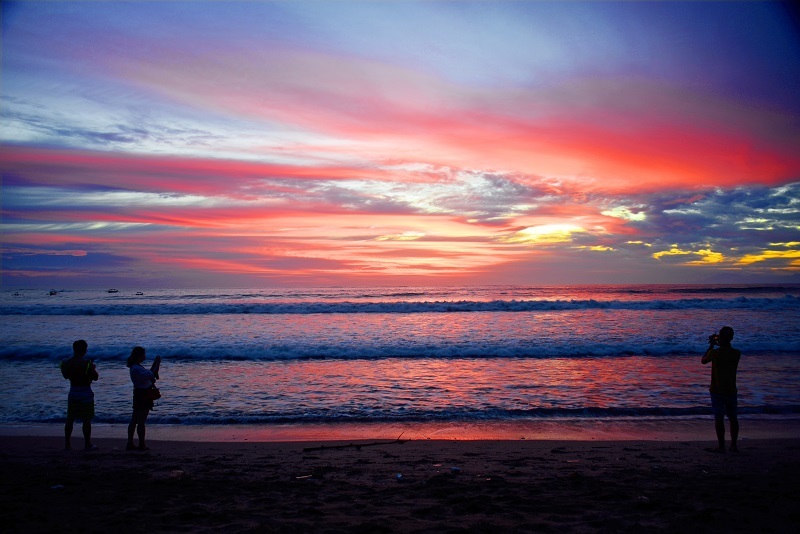 Often referred to as the cooler, more sophisticated version of Kuta, Seminyak is Bali at its most glamorous. 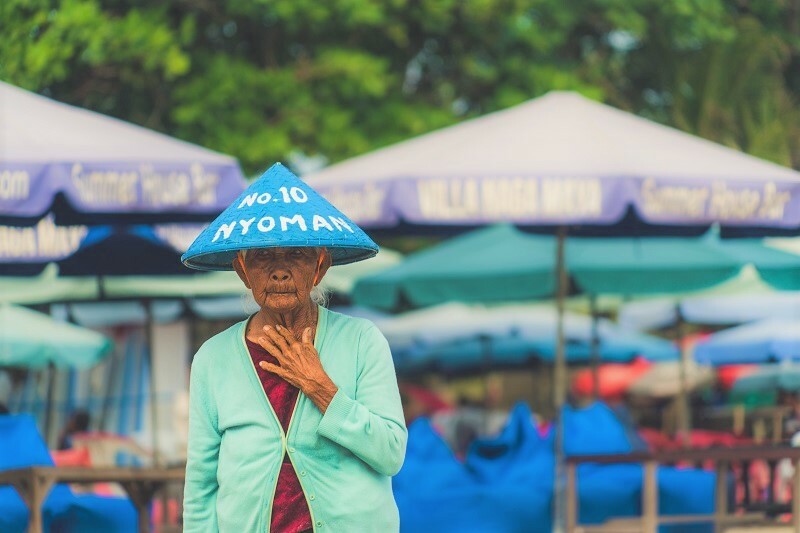 Situated just 15 minutes north of Kuta, the streets of Seminyak are lined with boutique clothing stores, quirky art galleries, cute little cafes and fancy spa clinics. And when it comes to sunset sips, it’s hard to beat Seminyak’s super luxe beach clubs. With their ocean views, delicious cocktails and chilled-out vibes, Potato Head, Ku De Ta and the newly opened Tropicola are the places to be seen on a balmy Seminyak evening. Accommodation-wise, it’s all about private, serviced villas in Seminyak. Trust us, there’s no better way to recover from a late night at Tropicola than by the pool in your very own luxury villa. Suited to: The cool crowd: celebs, models, influencers. If you’re looking for respite from the hustle and bustle of Bali’s crowded coastline, there’s only one place to head: Ubud. 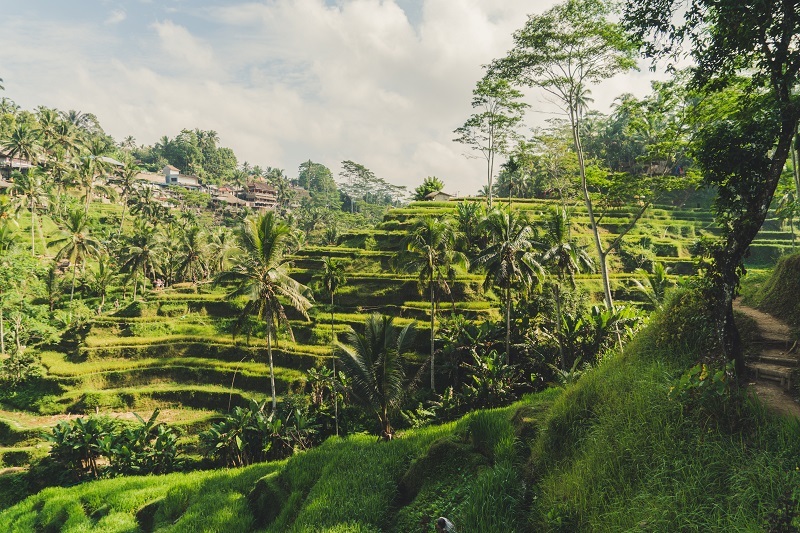 Located two hours inland from Ngurah Rai International Airport, with its rice fields and ancient temples, Ubud is serene and tranquil – the very antithesis of Kuta. It’s also considered the cultural and artistic heart of Bali, and there’s opportunity galore to witness centuries-old temple ceremonies and traditional dance performances or gaze upon the incredible handiwork of local painters, woodworkers or silversmiths. Ubud’s latest reincarnation however, is as a lush haven for the health conscious. Yoga retreats, wellness tours, meditation workshops and digital detoxes – if it’s related to the mind, body or spirit, you’ll find it in Ubud. Suited to: Budding yogis, vegans, health enthusiasts. Families, rejoice! It’s not all adults-only beach bars and free-flowing cocktails in Bali. If you’ve got the kids in tow and are looking for an affordable family vacation, Nusa Dua has you sorted. Positioned on the southern tip of the island, Nusa Dua is resort heaven for those who want to indulge in a ‘flop and drop’ holiday. All the big hotel names have taken up residence in Nusa Dua, including the Hilton and the Ritz-Carlton, so you know there’s going to be kids clubs, day spas, even a golf course or two – that’s enough to keep the whole family happy! 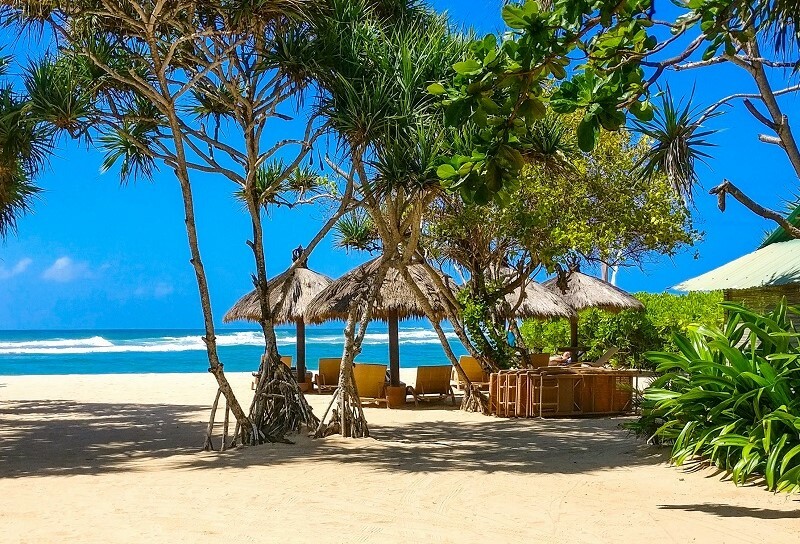 The Nusa Dua coastline also boasts some beautiful beaches. Clean, calm and relatively secluded (traits often hard to find in a Bali beach), Samuh and Geger are two of Nusa Dua’s hidden gems worth taking a dip in. Suited to: Families with young kids. 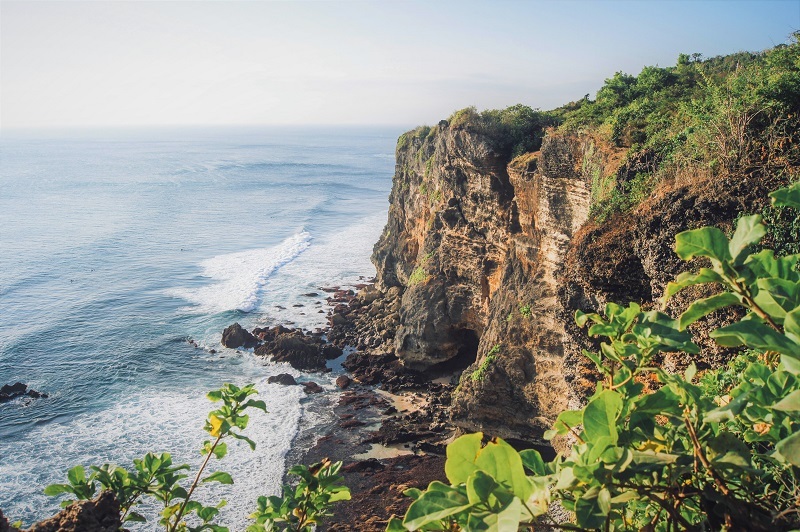 High up on the limestone cliffs of the Bukit Peninsula, on Bali’s South Coast, is Uluwatu, the surfing capital of the island and where to go in Bali if you’re looking to paddle out. Like a moth to the flame, the surfer boys and girls of the island flock to the wild beaches of Uluwatu in search of the ever-elusive perfect wave. The beaches are up there with some of Bali’s most spectacular, but if you can’t hang ten with the best of them, don’t expect to go swimming, as conditions are often rough. That’s not to say Uluwatu has a restrictive surfers-only policy. The region’s beach clubs rival that of Seminyak (Single Fin is particularly good on a Sunday afternoon), and with all that prime land atop Uluwatu’s stunning cliff tops, you’ll actually find some of the most exclusive and luxurious villas on the island. Not bad for a laid-back surfer town! Suited to: Surfers, those looking to escape the crowds. So now you have the low-down on where to go in Bali, which one will be first on your Bali holiday hit-list? Find cheap flights to Bali on Webjet and be one step closer to walking along the beach in Kuta, Uluwatu or Seminyak.